…and similar to the last update, there has been lots of developments! Most notably…. he can now crawl properly! 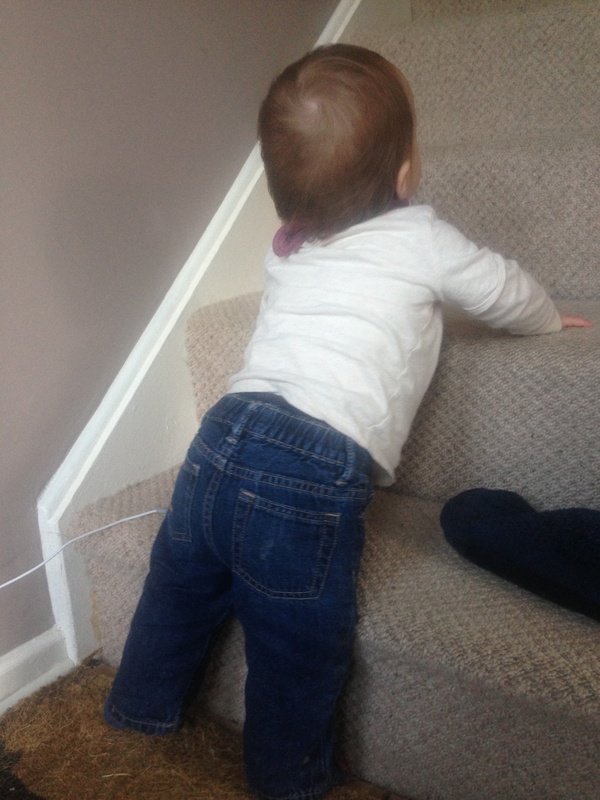 he pulls himself up to stand on ANYTHING he can! Similar to last month, he’s very happy but very busy… so easy to look after but exhausting chasing after him all the time! He seems to want to be wherever he’s not allowed… climbing up the glass TV stand etc! Still has 8 teeth – hasn’t had any new ones for a while now, I’m sure #9 won’t be long! 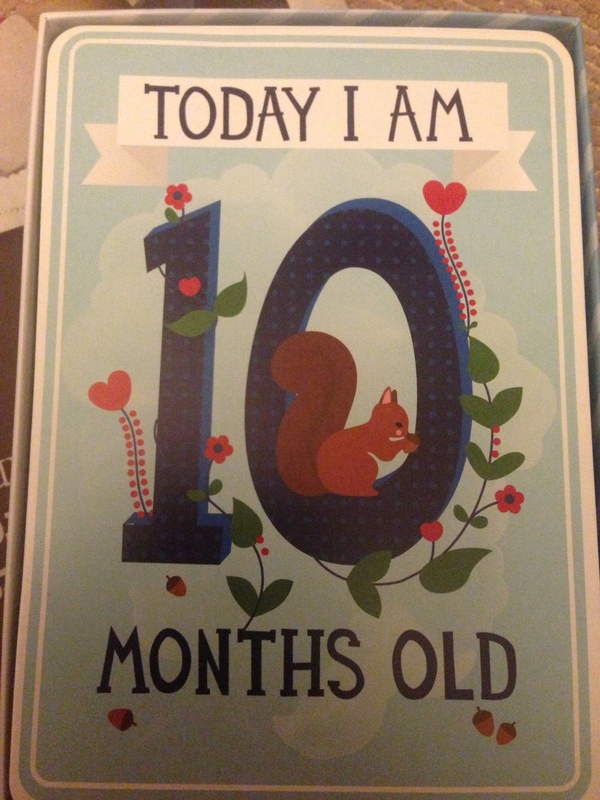 His 10month old birthday co-incided with me going up to 4 days a week in work – it’s SO much more exhausting than 3 days! He didn’t seem to notice though, he’s settled in so well at the childminder’s! While we’re on about work, I spoke at a big digital conference which was nerve-racking but went well – I was away for 2 nights and had a lovely upgraded suite – was nice to get some rest! However, that came just after a girly weekend in London which was awesome but it meant in total I was away from baby W 5 nights out of 7 which was really weird and I won’t be doing that again in a hurry! One week his swimming lesson was cancelled so we took him to a ‘messy play’ class instead… much fun with pasta, not so much fun with shaving foam… he didn’t know what to do with himself! I signed him up at the local library, which got him 2 free books 🙂 we went to storytime twice, but they run it on Thursdays and now I’m back in work on Thursdays – shame as he loves clambering over the crates of books! That’s it for now folks, stay tuned for the next update! teehee, they think clapping is the best thing ever, don’t they? !